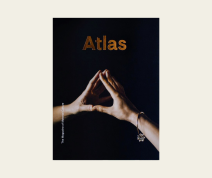 Atlas is a print magazine that centers on material culture. Each page of the publication tells a story of dedicated craftsmen. Through the current issue of Atlas, readers will journey with a salt harvester along the Oregon coast, discover secrets of single-malt Scotch makers, and adventure into abandoned buildings in search of vintage denim.